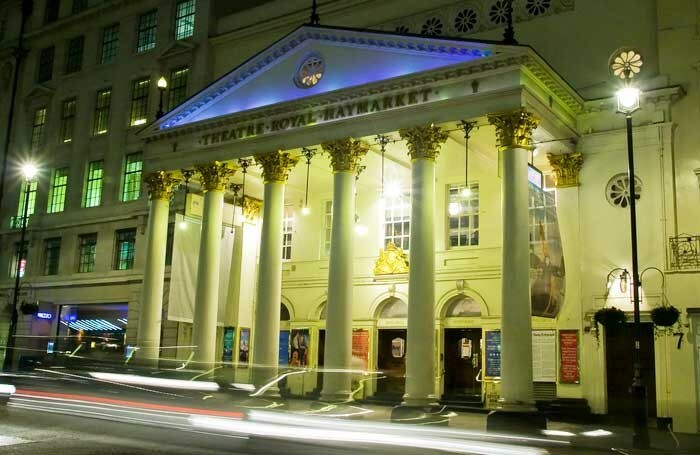 There are few playhouses in the world that have such a rich theatrical pedigree as the Theatre Royal, Haymarket. 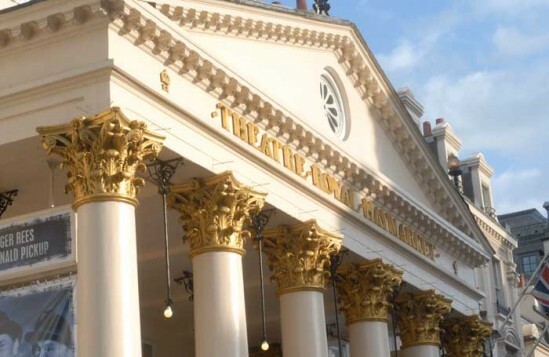 The current structure – a Grade I listed building that was designed by legendary Regency architect John Nash (also responsible for Brighton’s Royal Pavilion and Buckingham Palace) – is approaching its 200th anniversary (it dates from 1821); but a theatre has stood on this site since 1720. In 1776 it acquired a royal patent, the third London theatre to do so after Drury Lane and what is now the Royal Opera House, enabling it to perform serious drama, which had been banned under Puritan rule. 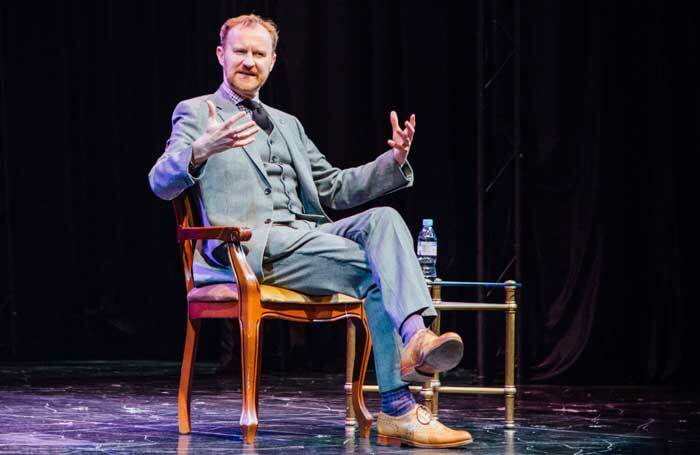 Last year some of the larger-than-life figures that were instrumental in its foundation were celebrated on this same stage, when Mr Foote’s Other Leg transferred from Hampstead Theatre: a vivid history lesson coming to life on its own stage. 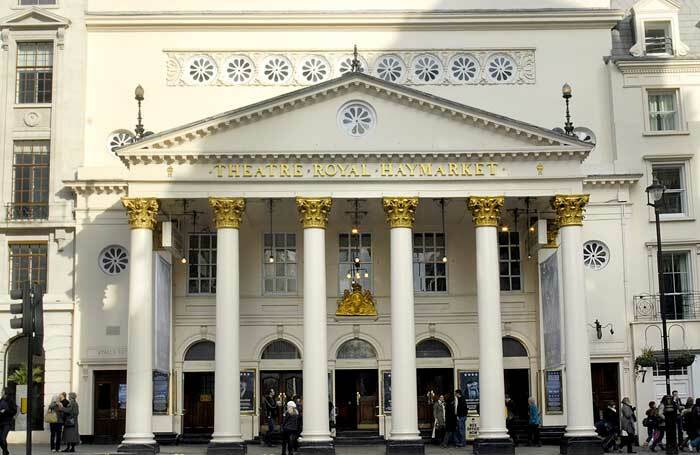 The theatre has the sheen of history everywhere you look, from the six imposing Corinthian columns that face on to Haymarket – and beautifully frame it as you walk towards it down Charles Street from St James Square – to the warren of bars and private meeting areas beneath the stalls. The grand stalls bar, visible through a window in the smaller stalls entrance foyer, is a lovely public space; but there’s also a private bar accessed from the rear of the stalls for corporate hospitality. 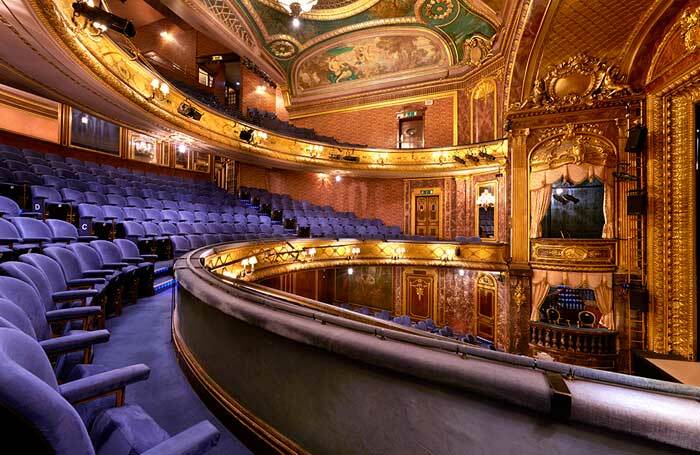 Over the years I have sat in every part of its four-tiered auditorium that seats 893 people. I began my theatregoing there in the remote balcony with its hard wood bench seating and separate outside entrance, and have graduated through the ranks from upper circle to dress and now, usually, the stalls. 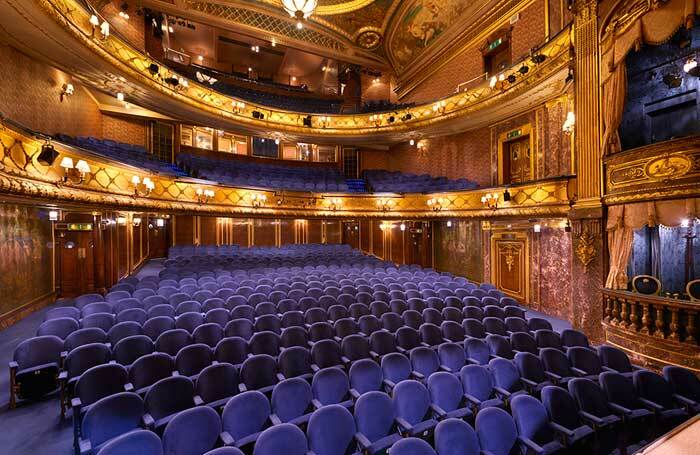 For some reason, I find the stalls seats at the Haymarket possibly the most comfortable of any in the West End; they’re firmly upholstered, and very well raked, so you don’t have sightline issues, either. 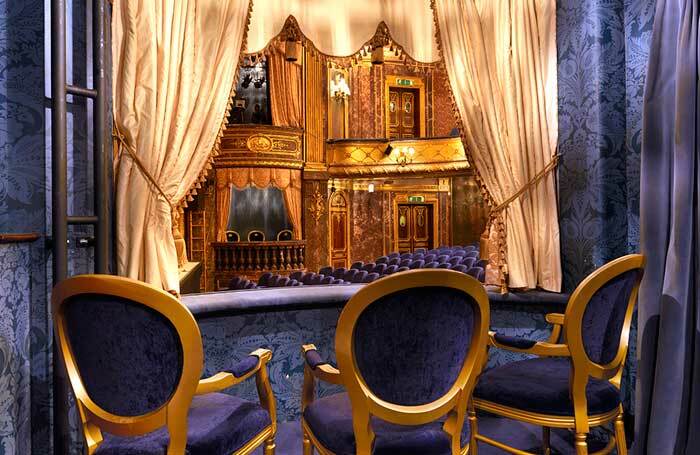 I also adore the gold-leafed opulence of the auditorium itself. Again, it says ‘playhouse’ in a way few other theatres do: it is indisputably grand, but also feels wonderfully intimate. 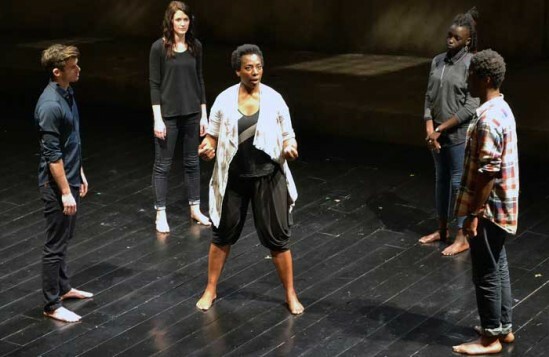 It operates as a commercial theatre for hire, but over the years it has also provided a home for various directors’ full-time residencies. The Peter Hall Company was once based here, and there have been seasons by Jonathan Kent, Sean Mathias and Trevor Nunn. Operating independently away from the big theatre owning chains of RUG, ATG and Nimax, it is also able to go its own way in other respects, and unusually for a commercial operation, it actively invests in future audiences and theatremakers. 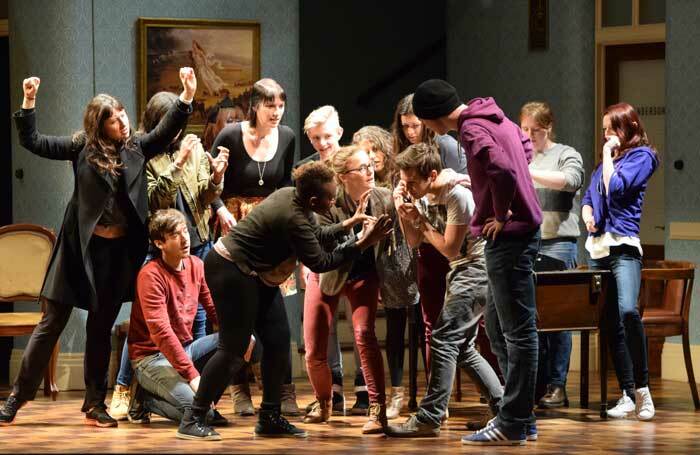 Since 1998, the Theatre Royal Masterclass Trust has operated as an in-house education charity, opening up the building as a resource for young people so they can gain hands-on experience of theatre. It hosts talks with leading industry figures, onstage workshops, careers advice sessions, creative opportunities and paid apprenticeships for young people aged 16-30. I once hosted an onstage interview with the late, great Victoria Wood for Masterclass, and other recent guests have included Idris Elba, Mark Gatiss and Tanya Moodie. 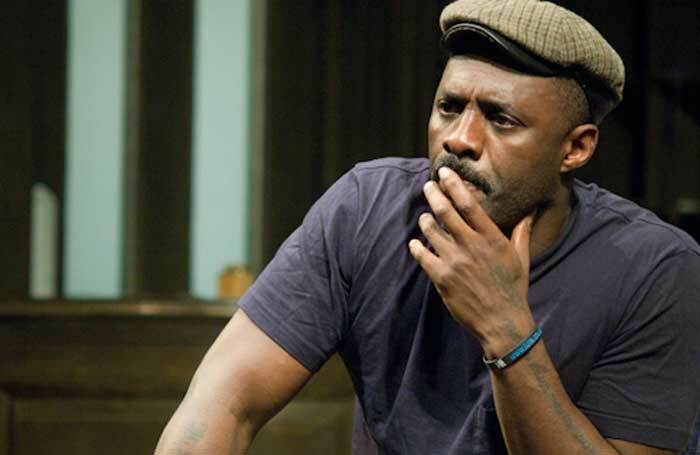 Upcoming ones will feature Sam Troughton (on August 9), Gina McKee (August 12) and Sian Phillips (August 30). It’s inspiring to see a theatre not only living in the present as a vibrant West End house, but also the future as it embraces the next generation in this way.